Chanteur Rockabilly US né à Florence (Alabama). Billy J. Killen a enregistré à la fin des années cinquante pour Starfire (57), Impala (58), Meridian (59) et Kam Records (60 ?). Cousin de Buddy Killen, Billy a utilisé aussi les nom de Billy Match et Billy Mache. Billy J. est le cousin de Buddy Killen. Il est décédé en 1996. US Rockabilly singer born in Florence (Alabama). 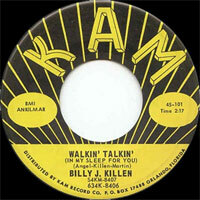 Billy J. Killen recorded in the late fifties to Starfire (57) Impala (58), Meridian (59) and Kam Records (60?). 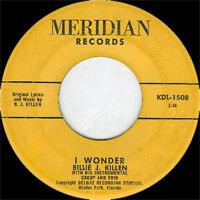 Billy J. is the cousin of Buddy Killen. 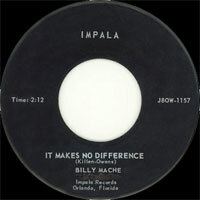 He also used the name Billy Match and Billy Mache. 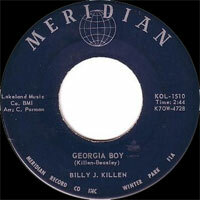 Billy J. is the cousin of Buddy Killen. He died in 1996.